In the last installment of our blog series on automating your Operations and Planning processes, we looked at the strategic and tactical advantages of automating your protection system maintenance processes, aka how to better tackle PRC-005. Now let’s look at PRC-005’s close cousin PRC-004, the standard for protection system misoperation identification and correction. While PRC-005 covers both scheduled/ongoing maintenance and ad hoc maintenance in response to incidents, PRC-004 purely addresses misoperations: something happened to trigger your protection equipment, and you need to figure out what happened, why, and what you need to do about it. The misoperation may have resulted from a defect in the voltage or device, a software glitch, human error, a setup issue, or that the relay simply failed. Regardless of why it occurred, you must take steps to inform NERC and mitigate the problem. Many organizations have systems in place that alert you to a misoperation in your protection equipment. That’s great – but everything that comes after the alert remains painfully manual. Someone needs to manually investigate the process, which means collecting the right evidence in the right way and then correctly documenting and reporting their findings. 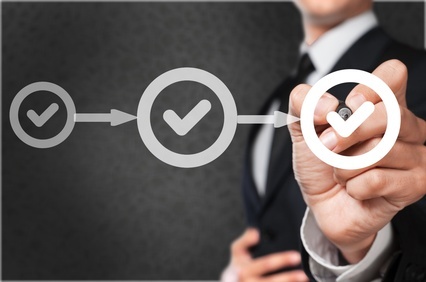 An automated compliance management solution like SigmaFlow standardizes and streamlines this process with event-driven workflows that improve accuracy and efficiency. The system empowers you to evaluate the performance of the protection system involved in the misoperation and analyze each event to understand its singular and more holistic impact. This can get incredibly granular when you’re examining every relay to see if it operated correctly; it’s an effort that far exceeds the capabilities of the spreadsheets often used to wrangle protection system maintenance requirements. Note that these steps go beyond the basic PRC-004 requirements around identifying and reporting misoperations. As with PRC-005, automated systems like SigmaFlow can be used strictly to make compliance more efficient and effective, but really shine when applied to the business processes that underpin the issues addressed by the NERC standard. SigmaFlow is a leading provider of Process Execution solutions. The company’s NERC Compliance Solution is a real-time, evidentiary based software solution that solves the challenges of CIP & 693 Compliance. The SigmaFlow Compliance Solution manages all documents, data, and work activities while automatically collecting and building the evidence for NERC compliance in a real-time repository. SigmaFlow products place a strong emphasis on embedding domain knowledge through a process-driven template-based-architecture. Contact us at sales@sigmaflow.com to learn more.